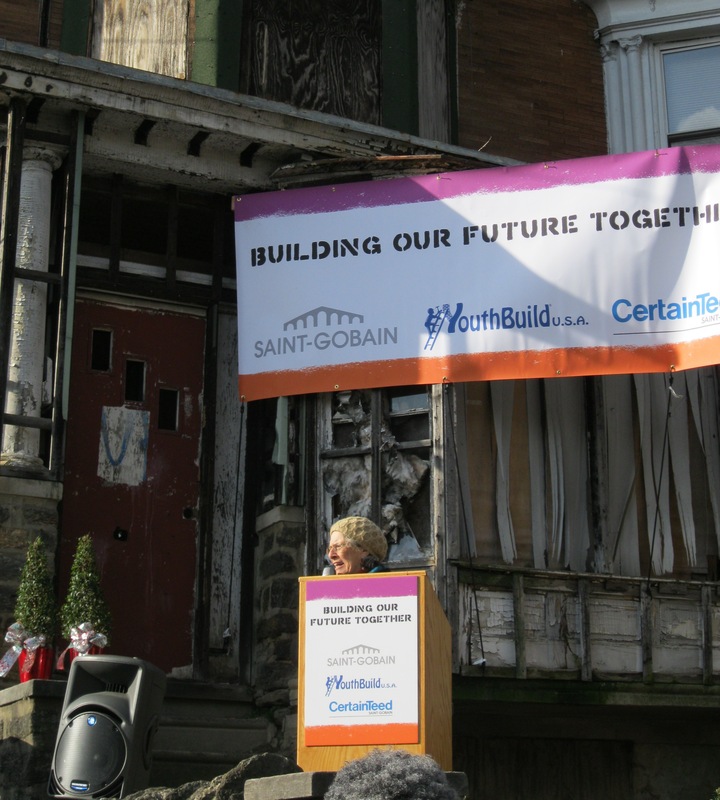 YouthBuild Philadelphia hosted a groundbreaking event to to launch the national partnership between YouthBuild USA, Saint-Gobain, the world’s largest building materials company, and its North American subsidiary CertainTeed. 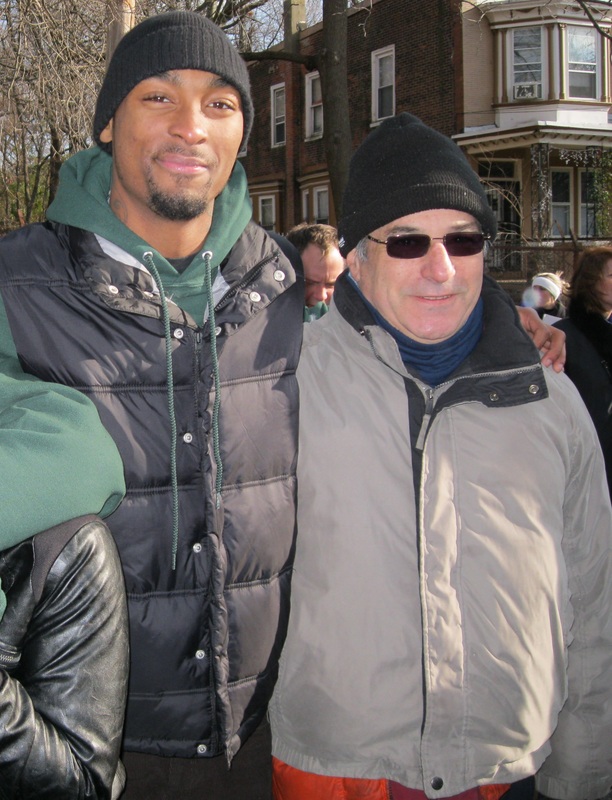 As part of the partnership, YouthBuild Philadelphia will receive $100,000 in pass-through grants over the next three years to engage students in learning green building techniques and build energy-efficient affordable housing. The event at YouthBuild’s new GreenBuild project on Greene St. in Germantown kicked off with the YouthBuild Philadelphia Student Pledge, led by students Sean Humphrey, Amir Johnson, Jasmine Myers, Kenneth Watkins, Kahnyqua Weems, and Jermaine Williams. 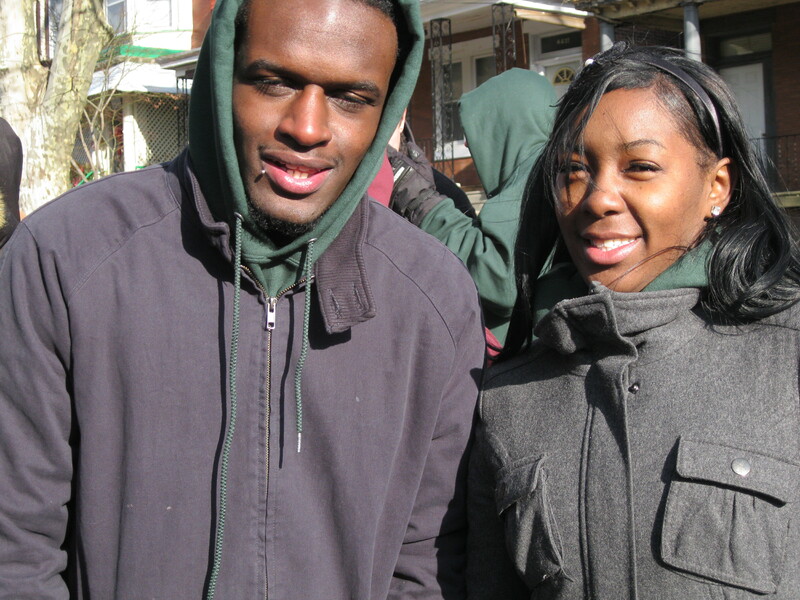 Amber Allen and Lamar Lincoln, students in YouthBuild’s Advanced Construction Training and Green Building Training programs. Over 200 YouthBuild Philadelphia students and staff joined friends — including partners from Philadelphia’s Office of Housing and Community Development, the Department of Labor, the Environmental Protection Agency, Community College of Philadelphia, and CareerLink — to celebrate the groundbreaking of the rehabilitation project. The long-vacant, dilapidated property will be transformed into an energy efficient two-family home for a first-time homebuyer. Saint-Gobain and CertainTeed will be providing energy-efficient products, building science, technical expertise, and employee volunteers to support the project, which will work toward LEED certification from the US Green Building Council.